Every writer needs space, time and money to craft and produce their best work. I’m thrilled to be chosen to join a group of talented, industrious, visionary writers awarded this year’s Kimblio Fellow. Get lost on …Journey to the Land of Look Behind – a story about the push and pull between a daughter and the father who cavalierly abandons kin and kind and the ways childhood trauma trail those left behind into adulthood and imprint itself in the relationships developed there.Journey is the legacy of abandoned daughters who have fended for themselves and claim their worth any way they can. Countless Caribbean girls, black girls in America, in Africa and across the globe have fended for themselves without a father Some of the most painful aspects of their lives are symptomatic of the wound of the abandoned – left behind – daughter. Their stories are achingly similar. Their battles with emancipation, womanhood and self-determination are familiar and universally relatable. Indigo Wade, a brilliant engineer and aspiring sculptor, is frustrated with her son-child boyfriend, Reed, pressured by her domineering mother, Lena and struggling through a fractured relationship with her distant and indifferent father, Capo. An urgent, disturbing phone call precipitates a trip to Jamaica where past memories resurface, life lessons are learned and new beginnings are started. Sage advice from her Aunt Mercie helps her deal with antagonistic siblings left to survive the wreckage of lives abandoned by a father who skillfully navigates relationships like a calculated chess grandmaster and lays bare the spiraling, wounding trajectory through their lives. Set in New Orleans and Jamaica, Journey to the Land of Look Behind weaves a tapestry of how the pain of childhood trauma follows us into adulthood and into the relationships we develop there. Balanced on the threshold of two worlds, neither of which she fully belongs, Indigo must face questions that help her define her own truths. Who are we when stripped of easy monikers: daughter; father, sister, friend? Should she give up her promising career to pursue her dream of becoming a sculptor? Can she steer her father toward a place of redemption but at what cost? The setting stretches from the intoxicating bacchanal of New Orleans’ speakeasies to the green grottoes of the Jamaican countryside. Whether Caribbean, American or African, their stories – with themes of female identity, self-emancipation, abandoned or fatherless daughters – are often achingly familiar and universally relatable. Land Of Look Behind is both a physical location to which Indigo travels and a metaphor for a state of being. Geographically, the tiny historical community of Land of Look Behind is one of several remote rural communities deep within Jamaica’s dense interior known Cockpit Country, Land of the Maroons. The tiny community of Land of Look Behind, was refuge for runaway slaves – the unconquerable Maroons who outsmarted and defeated the English, in 1665 and waged relentless guerrilla warfare for their freedom. Today, Land of Look Behind remains a self-governed community of freedom, resilience and self-determination, peopled by descendants of Nanny and her descendants. Look Behind is a metaphor for living the present through the lens of our past, much like Lot’s wife. We remain prisoners to past experiences from which we yearn to break free or that no longer serves us. Denise Laidler is a Jamaican born, New York based culture and travel writer, communication specialist and founder of GoldenPen Ink Writing, a boutique communication firm. She has been lead and feature writer for a variety of magazines on national and international news, healthcare, small business and career & lifestyle stories. Laidler has a ten-year track record of targeted communications in healthcare, pharmaceuticals, small business, finance, media, law and academia. She has written for Huffington PostBlackVoices, Black Enterprise magazine, Essence magazine and theroot.com. Clients have included FedEx, Bank of America; Jamaica Tourist Board; the Rockefeller Foundation, GMC Advertising, Louisiana’s Office of the Lt. Governor; Fast Company; Time Warner Inc. and Vogue.com. 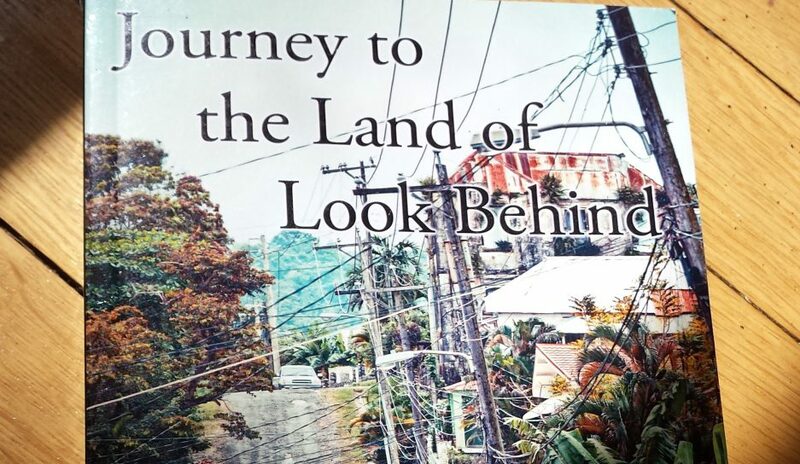 Her short story Where Dreams Die, an excerpt from her debut novel Journey to Land of Look Behind was featured in the Caribbean Writer anthology and awarded their David Hough Literary Prize to a Caribbean author. Fiction Writing is her passion and Journey to Land of Look Behind is her first novel. Laidler graduated from New York University with a B.A. in Political Science and English and has a Master’s degree in International Communication from American University. Denise Laidler is a Jamaican born, New York based culture and travel writer and communication consultant. Journey to the Land of Look Behind is her debut novel.